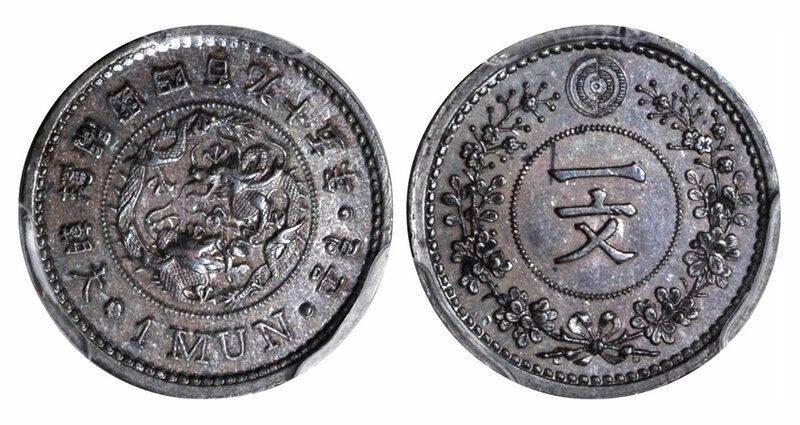 Stack’s Bowers and Ponterio is pleased to announce the results of their Spring 2019 auction presented in conjunction with the 6th Hong Kong Coin Show held at the Mira Hotel. The vibrant market, aided by an impressive and dynamic offering of desirable rarities, helped the sale exceed expectations, with total prices realized of $6,969,395. 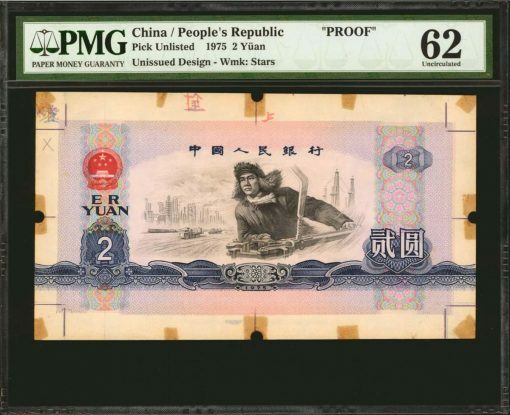 The highest priced item in the sale was found in Session A — Chinese, Hong Kong and World Paper Money — where lot 50176, an unissued 2 Yuan Proof from the People’s Republic of China, realized $240,000. 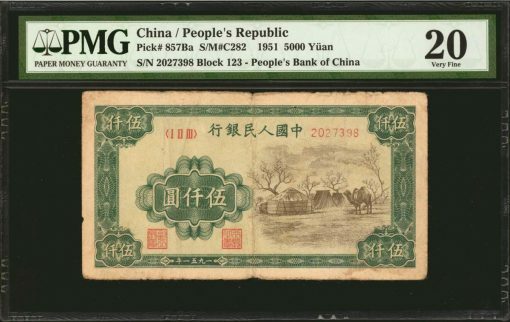 Another PRC note, lot 50163, a 5000 Yuan, fetched $51,600. In lot 50456, an ultra-rare 1901 Straits Settlements note realized $40,800, a highlight of the Commonwealth portion of the sale. A Hong Kong Mercantile Bank of India 50 Dollar note in lot 50304 sold for $26,400. In total, 15 lots in the paper money session realized over $10,000, reflecting an expanding collector base for condition sensitive and hard to find banknotes. 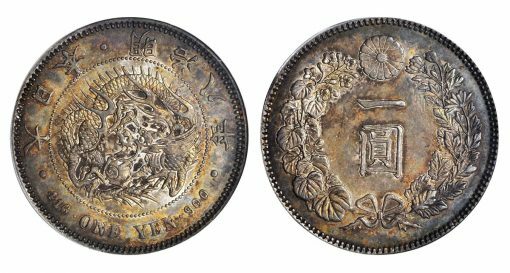 A vast array of Vintage Chinese coins were featured in Session B, where lot 60039, a 10 Tael gold ingot from the "Nanking Cargo" shipwreck recovery, brought the session’s top price of $150,000. 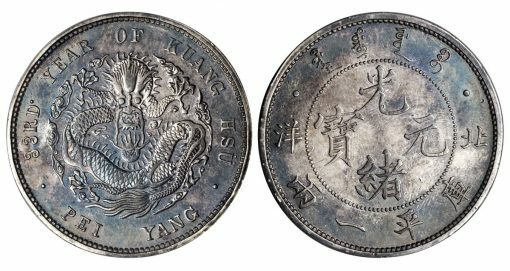 Other impressive realizations included a Pei Yang Silver Tael ND (1907), lot 60107, that sold for $84,000 and a Peking Silver 3 Mace 6 Candareens Pattern Restrike, lot 60452, that brought $78,000, more than doubling its high estimate. In total, 79 lots in the session brought prices exceeding $10,000 with 34 lots surpassing the $20,000 mark. 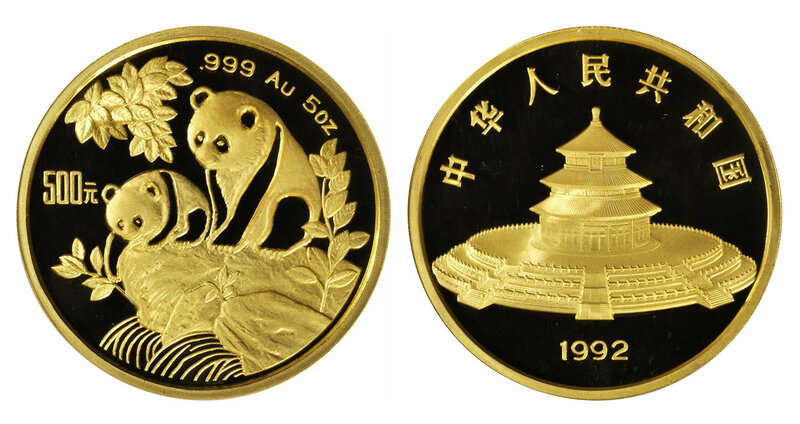 Similar strength was apparent for true rarities among the Modern Chinese coins offered in Session C. A 1999-dated 2000 Yuan Gold Kilo from the Panda Series, lot 61075, earned the top price in the session with a $78,000 realization. Several other large format issues brought impressive sums, led by lot 61065, a 1992-dated 5 Ounce gold 500 Yuan from the Panda Series that realized $38,400. 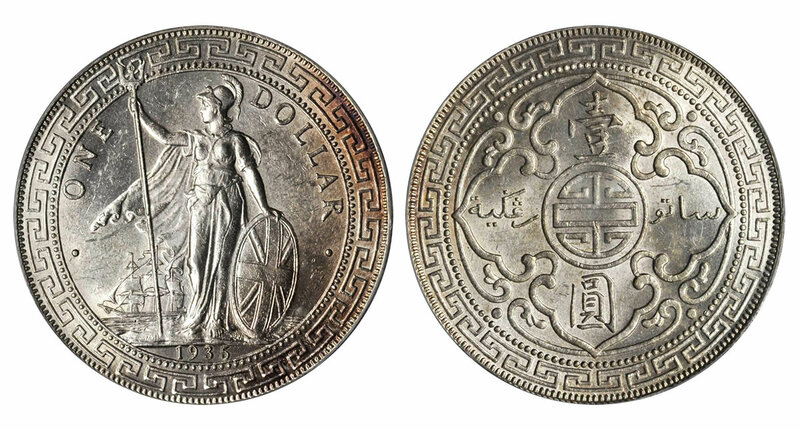 Session D concluded the live sessions of the sale and featured Hong Kong and Foreign coins. While many exceptional prices were achieved, lot 62283, a small copper pattern Mun from Korea, was perhaps the most stunning. Although it is the single finest certified by PCGS, nobody anticipated its final price of $52,800. Several Japanese rarities shone as well, the first being lot 62270, an extremely rare Year 8 (1875) Yen that was graded AU-55 by PCGS and brought $40,800. While not as rare in an absolute sense, a Trade Dollar from the same year, lot 62271, realized $26,400 due to its immaculate state of preservation. 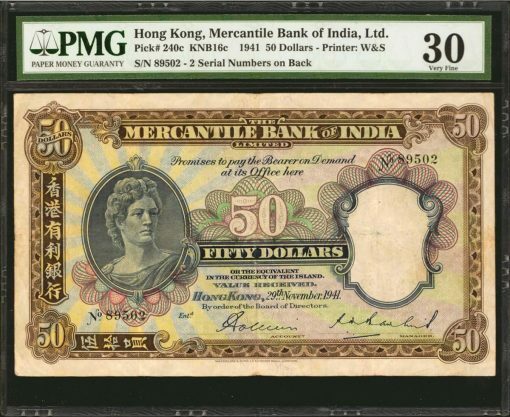 While modest in terms of overall value, the Mirs Bay Collection, a meticulously assembled collection of British Trade Dollars that included most of the overdate varieties, generated much buzz during and after the sale. Lot 62229, the rare 1935-B final date, realized the collection’s top price at $22,800. The annual Stack’s Bowers and Ponterio Spring Hong Kong auction is a highly anticipated event with collectors and dealers traveling from near and far to participate. Stack’s Bowers and Ponterio is the premier auction house in all of Asia with a proven track record of providing dynamic and successful numismatic sales. Lot 50001: CHINA–EMPIRE. Yuan Dynasty. 2 Kuan, 1335-40. P-UNL. PCGS Currency Very Fine 25 – Realized $33,600. 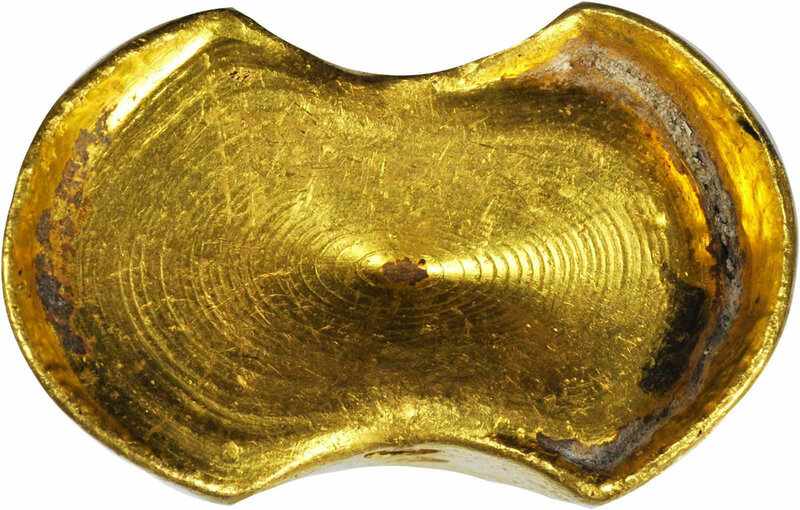 Lot 50473: THAILAND. Bank of Thailand. 1000 Baht, ND (1992). P-92. Fancy Serial Numbers. PMG Choice About Uncirculated 58 EPQ to 64 Gem Uncirculated EPQ – Realized $18,000. Lot 60463: CHINA. Silver Tael Pattern, CD (1906). PCGS SP-58 Gold Shield – Realized $69,000. Lot 60477: CHINA. 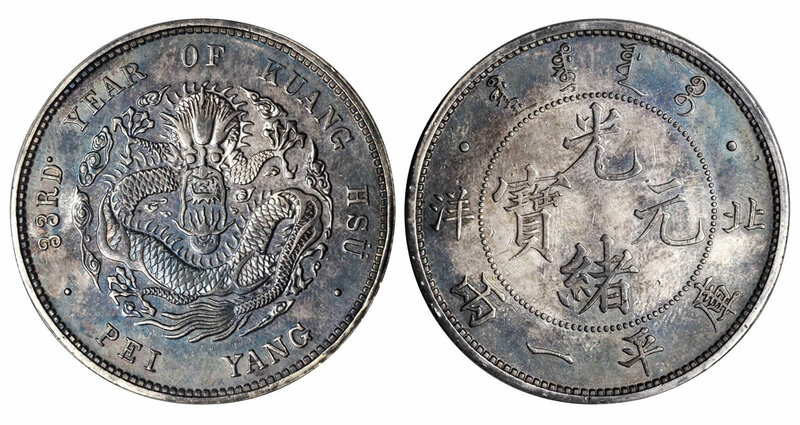 Silver Dragon Dollar Pattern, Year 3 (1911). PCGS SP-61 Gold Shield – Realized $72,000. Lot 60637: CHINA. Silver Dollar Pattern, Year 12 (1923). PCGS MS-65 Gold Shield – Realized $66,000. Lot 61068: CHINA. 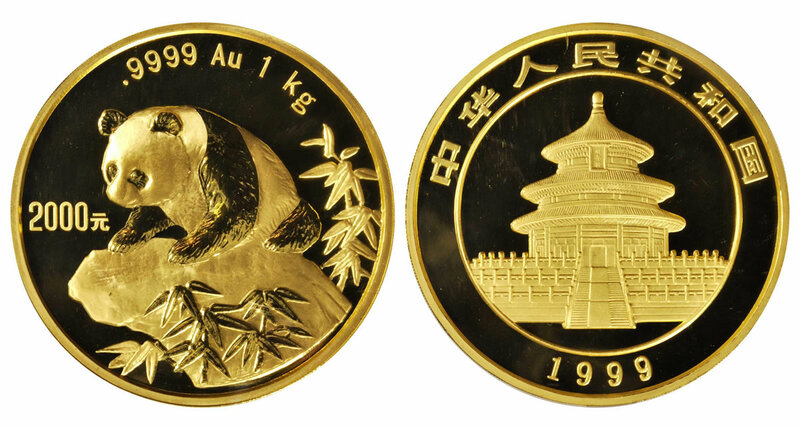 500 Yuan, 1995. Panda Series. NGC PROOF-68 ULTRA CAMEO – Realized $32,400. Lot 61136: CHINA. 200 Yuan, 1992. Lunar Series. NGC PROOF-67 ULTRA CAMEO – Realized $20,400. Lot 62029: HONG KONG. 50 Cents, 1892-H. Heaton Mint. Victoria. NGC MS-63 – Realized $18,000. Lot 62268: JAPAN. Copper Sen Pattern, Year 3 (1870). PCGS SP-65 BN Gold Shield – Realized $15,600. Lot 62376: THAILAND. 2 Baht, ND (ca. 1863). Rama IV. PCGS MS-64 Gold Shield. – Realized $16,800. Stack’s Bowers Galleries (StacksBowers.com) conducts live, Internet and specialized auctions of rare U.S. and world coins and currency and ancient coins, as well as direct sales through retail and wholesale channels. The company’s 80-year legacy includes the cataloging and sale of many of the most valuable United States coin and currency collections to ever cross an auction block.